The El Plantio complex consists today of an 18-hole par 72 and 9 hole Par 3, it is expected to expand in the near future. The essential feature is the existence of omnipresent vegetation which harmonises the game. Dense groups of trees have been planted, which define and shape the fairways of El Plantio. Among these are a large number of evergreen species which provide a gratifying shade all year round. The vegetation along with the proximity to the sea creates a microclimate with pleasant temperatures and this; along with the frequent summer breezes at El Plantio, tends to make the game much more bearable. The mass of trees gives the player greater privacy by serving as a wall that separates and protects them from prying eyes. Thus we get a dynamic and intimate contact with nature, whilst the position of each tree at El Plantio is designed for the game. It is noteworthy that all the trees have been planted in order to repopulate an abandoned area. 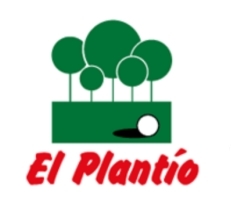 El Plantio golf course has not been designed within a forest, but on the contrary, the course was designed in a damaged area and a forest then planted around it, preserved by a residual water source. The design of the El Plantio golf course is particularly varied and entertaining; one can play with different strategies. The course is a challenge both for the high handicaps to low handicaps allowing a continuous game without interruptions in both cases. The presence of water as an obstacle at El Plantio, conditions and complements the game differently - in each case. The lakes which are different in form and function are also inhabited by ducks and geese that add a nice touch to the game. The two games of nine at the El Plantio golf course are harmonious. They both have up and down slopes that shape the landscape emphasizing its curved forms. The green - tee distances are short, and the player does not need to stroll between holes, which makes the game more continuous.